The Nikon D750 is an affordable 24.3Mp full-frame DSLR with attractive-looking specs for both the enthusiast and the professional photographer. It’s capable of producing outstanding pictures, but the quality of the lens used has a bearing on image quality. We’ve analyzed the performance of 105 lenses on the Nikon D750, and in part one we bring you an analysis of the top three zoom lenses in six different categories. Nikon’s latest flagship DX-format DSLR, the D7200, features a 24.2Mp APS-C image sensor and weather-resistant shell, as well as an improved autofocus and image buffer capabilities. 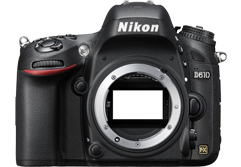 Using the same or similar APS-C sensor previously tested in their D3300 entry-level and D5500 mid-range DSLRs, how will the scores from Nikon’s new top-end APS-C DSLR compare? Nikon have launched a new 18-300mm super zoom lens for their DX format Digital SLR cameras. Weighing around 1/3rd less than its predecessor and featuring Nikon’s VR, or Vibration Reduction, image stabilising system, could this be the all-in-one lens Nikon DX shooters are looking for? Following the recent review of the Canon mount model we’ve had the opportunity to test the Nikon mount version of ultra-high speed Samyang 24mm F1.4 prime. Unlike the Canon version this model has a built-in CPU for full compatibility with the various exposure and metering modes. It also has a fully automatic aperture. Read on to find out how well the Samyang performs in our tests and if that or a rival model is the best choice for Nikon FX users.